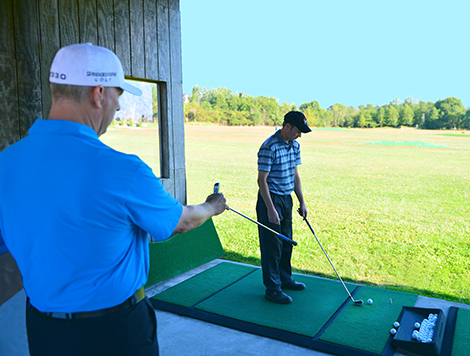 We offer private and group instruction for any skill level from beginner through advanced. All lessons include may include high speed digital video, Flightscope and K-Vest depending on the scope of the lesson. Range balls are included during the lesson, and clubs if needed. On course analysis and instruction as well as short game instruction is also available. All private lessons include high speed 2D video analysis and copy of video sent via email. All private lessons also include personalized written lesson summary with drills. All packages must be paid before or after first lesson and be completed within 3 months of purchase. All lesson packages must be completed within three months of purchase.